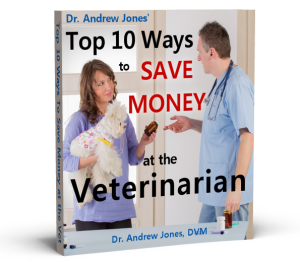 In this video Dr Jones shows you the incorrect assumptions of feeding cats that are causing disease, including what you can feed to prevent and treat common cat diseases. What is a good recipe for making home made cat food? Cat vaccinations: Should your cat have them?…What are the RISKS?…What can you give INSTEAD of Vaccines. Regarding PBDEs, furniture, carpet are major culprits. The vet who treated my hyperthyroid kitty with radioactive iodine said that the disease didn’t present before the 70’s when fire retardant chemicals were first applied to furniture material. My cat was virtually cured with the treatment which is considered superior to medication for life or surgery. When a cat is older and has thyroid problems what kind of cat food should they eat? My cat is 15 years old and the vet said that if he were to operate there could be a chance she would die is this true? Dr Jones mentions Wellness canned in his video above. My cats are on a raw diet, but I occasionally give them Wellness as a treat, or when their appetites need piquing. If you try raw, remember that the vast majority of cats need a transition period of mixing their old with the raw, before they accept it. My cats accepted raw immediately because they were rescued from the streets and therefore accustomed to eating wildlife. Of course with any surgery, there is a risk for any living being. Good luck with your kitty and I wish her the very best. I have 7 cats, all rescued. They eat their kibble throughout the day and night, but I cannot leave canned food out all day. I’m sure that they would love it, but it is not feasible. Any suggestions? Thank you for confirming what the best vets here on Long Island,NY have been advising for years. So many people still believe the misinformation about kibble, claiming that it’s cleaner, cheaper, just as nutritious and cleans their cat’s teeth. Sure, why don’t you brush with a pretzel! And finally the truth be known about fish…it’s a NO NO…forget Tommy Tuna! Wow, I was told not to feed my cats canned food as they don’t need it. But the information you provide does make sense to me. I will begin giving them a good quality canned food. Thank you so much. BTW, Snowball is absolutely beautiful! !